Watershed are a specialist liability adjusting practice, now in its 21st year. Our areas of expertise include Motor Liability and Fraud, Employers Liability, Public Liability, Products Liability and Professional Indemnity. We provide a very individual and personal level of service, tailored to our client’s specific requirements. Watershed employ a team of experienced adjusters, rather than depending on subcontractors. This is combined with a dedicated system of quality control to ensure our high standard of investigation and reporting. Our forward-thinking management team are currently developing technology based solutions for streamlining claims investigation. This will facilitate the collection of evidence and writing of reports and also enhance efficiency. Flexible and responsive, we can provide all levels of service, from full claims handling to investigation only or one-off tasks. Where you use TPAs or other outsourced providers, we can undertake compliance and technical audits for you. When it comes to claims investigation and handling, Watershed has been delivering an exemplary nationwide service for nearly 20 years. We work hard to understand your business needs, becoming a trusted and valuable partner to be called upon to provide the specialist input when a reliable decision on liability is vital. Our role is to facilitate a swift and fair resolution of claims, thus reducing the claim life cycle and risk exposure and enhancing your policyholder’s customer experience. Our expertise extends across all types of liability, from household liability to professional indemnity. We are also able to scale the service we provide to satisfy MOJ Portal timescales for low value motor, EL or PL personal injury claims. Watershed’s success is based upon a high quality, technical loss adjusting and investigation service, delivered by a team of experienced adjusters, strongly managed by a committed management team. We provide our expertise to clients throughout the United Kingdom: Our loss adjusters and investigators can be where you need them to be. Our accreditations bear testament to the way that quality has been ingrained in our business processes. 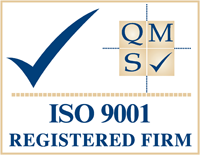 Having gained and maintained ISO9001 certification since 1998, everyone within Watershed understands the importance of following strict quality procedures consistently, and our customers ultimately benefit from the high standards of service we are able to deliver. In 2011 we attained the internationally recognised ISO27001 standard in information security, which means that our customers and all parties to our investigations can be confident that their information is secure and protected. In 2014 we became one of the first companies to receive the UKAS BS102000 accreditation. 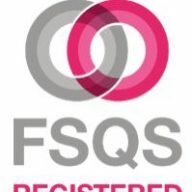 in 2017, we became a registered supplier with FSQS, easing clients through the transition of supplier change. Above all, we want our clients to enjoy the real benefits of having our expertise to hand. By choosing Watershed, you will have a dedicated, reliable and professional specialist team working with you. Our commitment, efficiency and a solid, proven track record will ensure that in Watershed you have found the perfect partner. 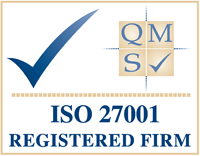 We are pleased to confirm that our ISO 27001 audit went without a hitch and was renewed for a further 12 months. 21 years and its time for another refresh!